Rosie_58 wrote: I am almost done with the Salsa dancing hobby, and wondering about the Breakdancing hobby, anyone have any infomation besides that you only need 1 sim? Seems to be limited to one sim per machine and only one machine per household. Maximum two machines. 5000 simoleans each. Thank you for replying kls1st Just started the Breakdancing hobby...1:30 hours and 10:30 hours are the time options. Hi. I have one couple of salsa dancers: she is at level 5 and he is at level 4. When they complete the tasks (both), the level progress go down from 97% to 0%, so they can't level up and I can't earn all the medals needed to complete the salsa quest in time. It happened already 4 or 5 times. What can I do? Have anyone had the same problem? What have you done to solve it? Laci2770 wrote: Hi. I have one couple of salsa dancers: she is at level 5 and he is at level 4. When they complete the tasks (both), the level progress go down from 97% to 0%, so they can't level up and I can't earn all the medals needed to complete the salsa quest in time. It happened already 4 or 5 times. What can I do? There is a visual glitch currently with all hobbies where while doing the hobby the progression bar shows 0% but when the sims are not doing the hobby (idle, busy with something else, or 'ready' with the exclamation point) the correct progression is shown. Is that what you are experiencing? I used LP to level up my dancers so I didn't experience all the trouble players have been having. But even with the visual glitch I was able to level up my dancers. Despite the glitch, it seems that the dancers level up just the same. And without using LP! I hope I can end this quest in time. Thank you! 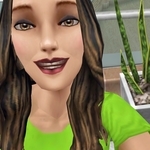 LovemySims wrote: When do you get the new lights please? After completing the breakdancing hobby. There are two rewards for the breakdancing hobby. The limited time reward is the DJ Booth but the 'no time limit' reward is the Breakdancing Themed Home Pack which includes lights and a wallpaper and floor. Thanks for the reply mockingbird! I am super excited at these lights, one of the best packs I've got the pleasure of looking forward to unlock. I love them. I've finished the salsa dancing thank goodness, I just spun for LP and got the last medal, I was so thrilled! Now doing the break dancing, got three medals already which is good as only started tonight. I have made my only houseboat into a dance party boat. I've not finished it yet but it has two floors, one for salsa with a bar area, upstairs is for breakdancing and the lounge. I need the lights and DJ booth to finish it off! My usual rule for quests is I can spend as many LP as I want as long as I end up with just as many as I started with. This time since I was not looking forward to another three weeks with a clock ticking I was going to just wait for a week or so to do it. That didn't work. I made it just one day before I opened my game and tapped on those dancers. I had over 1,000 LPs earmarked for new Christmas items - which, you all know, didn't happen ( ) so I decided that I was going to just use them instead of horde them. I had already set 3 sims up with hibernating and growing the pumpkin. And I would grind for LP during the 30 minutes for tasks that were x hours and 30 minutes. All in all it took me a little over a day to get through the quest and the two hobbies and I still ended up with more LPs than I started with. I might be crazy but I was planning on binge watching Friends on Netflix that day anyway! And it's been nice not having to worry about a time limit. Edit to fix 'you know' to 'you all know'. Last edited by mockingbird288z on 10 Jan 2015, 20:23, edited 1 time in total. LovemySims wrote: I have made my only houseboat into a dance party boat. I've not finished it yet but it has two floors, one for salsa with a bar area, upstairs is for breakdancing and the lounge. I need the lights and DJ booth to finish it off! I love the lights too! I had a cinema on the second floor of one of my houses that I turned into a dance room. I didn't use the cinema at all and there wasn't a point in having the microwaves there anymore... The dance room looks way more fun than a cinema anyway! PJ43033 wrote: Stuck! Cannot get past the "dance with another Sim" goal. Am I missing something obvious? There is a 3 second option. I banged my head on that for a while too! Doh! Thanks... Yep, something obvious! Is it really two machines per city? I could only buy one machine. Can anybody confirm either the statement above or my experience? I'm a little bit confused.